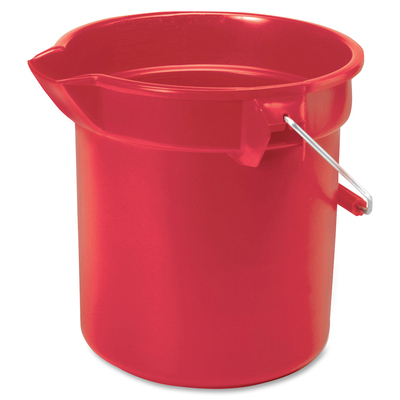 Utility Bucket Features Heavy-Duty, Thick Wall Construction With Molded-In Gradations For Accurate Measuring. Nickel/Chrome-Plated Steel Handle Resists Rusting And Bending. Thick Rim With Supporting Ribs Allows Easy No-Jam Stacking. Button-Like Attachments Keep Bails Fixed..
Utility Bucket Features Heavy-Duty, Thick Wall Construction With Molded-In Gradations For Accurate Measuring. Nickel/Chrome-Plated Steel Handle Resists Rusting And Bending. Thick Rim With Supporting Ribs Allows Easy No-Jam Stacking. Button-Like Attachments Keep Bails Fixed.